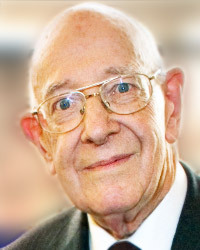 Last month Dutch legal historians were saddened to hear about the death of Jacobus Thomas de Smidt (December 19, 1923-February 18, 2013). In several obituaries, for instance by Arthur Elias for Leiden University, by Joke Roelevink for the Huygens Institute of the Royal Dutch Academy of Sciences, and at the website of the Dutch National Archives, the great efforts and merits of Tom de Smidt for the study of Dutch legal history and the organization between Dutch legal historians are commemorated. Among the major projects he initiated are the project on the history of the Great Council of Malines, a project for the edition of the Dutch codifications in the period around 1800, and for example the West Indisch Plakaatboek, a multivolume edition of legal sources for Dutch colonial history in the Caribbean. De Smidt also helped Dutch archives to modernize, and helped the Indonesian government to deal with the records of the Dutch East India Company in the Indonesian National Archives. People remember his warm personality, his sense of humour and his encouragement to young scholars, and I can testify myself for this. In fact his words “Ja, moet je doen!” [Yes, do it!] are for me among his most characteristic utterances. On March 2, 2013, Robert Feenstra passed away at the age of 92. For legal historians abroad he was without any doubt the best known and most respected Dutch legal historian. This week John W. Cairns (Edinburgh) is one of the first legal historians to commemorate Feenstra. If you want to mention major themes and projects with which Feenstra dealt during his long scholarly life you are faced with a very great variety. The history of Roman law in Europe after the end of the Roman Empire and Dutch legal history give only the boundaries of his research interests. Let it suffice here that only four years ago he published with Jeroen Vervliet a new edition of Hugo Grotius’ Mare Liberum (Hugo Grotius, Mare Liberum 1609-2009 (Leyden 2009)), and that in 2011 he witnessed the completion of the project for the Dutch translation of the Corpus Iuris Civilis. He continued the research started by Eduard Maurits Meijers (1880-1954) on the history of the School of Orléans, and many scholars from Leiden have followed him on this path. Feenstra published a number of volumes with articles by Meijers. For six decades Feenstra was on the editorial board of the Tijdschrift voor Rechtsgeschiedenis. Feenstra helped fostering the relations between Belgian and Dutch scholars. Just like Tom de Smidt he served for many years on the board of the Foundation for the Study of Old Dutch Law. Today Paul Brood (Nationaal Archief) wrote a brief obituary for both scholars on the website of this foundation. Surely its own journal Pro Memorie will contain longer obituaries on both scholars in its coming issue. Luckily this journal published in its series Rechtshistorici uit de Lage Landen [Legal historians from the Low Countries] interviews with both scholars on their scholarly lives and careers (Pro Memorie 5 (2003) 3-38 (Feenstra); with De Smidt in the special issue Prominenten kijken terug. Achttien rechtshistorici uit de Lage Landen over leven, werk en recht [Prominent scholars look back. Eighteen legal historians from the Low Countries on life, work and law] (Pro Memorie 6 (2004) 313-329). Feenstra founded a circle of scholars studying the reception of Roman law in the Low Countries – convening either in Leiden or in Antwerp – where young scholars, too, often got and get a chance to present their doctoral research. I remember how I presented the first results of my doctoral research for this circle. The austere company listened patiently, asked questions on subjects I had neglected or problems which I had not yet grasped, and encouraged me to pursue my research. Robert Feenstra had a keen interest in people and he did not fail to help scholars with practical advice and suggestions for sources and literature. One of the things that impressed me always was the way Feenstra corrected his own views expressed in earlier articles. It makes you realizes how Feenstra’s career spanned almost half a century, his tenacity about cherished subjects, and the high scientific standards he applied to scholars and to himself. His presence at scholarly meetings all over the world expressed the continuity of Dutch legal history. It is sad that both scholars are no longer with us to respond to our ideas, questions and emerging publications, but we can remain faithful to their memory by remembering their tireless efforts, smiling presence and amazing wide interests in contemporary life and legal history, and by following the paths and roads they paved for present-day scholars and future generations. On March 6, 2013, the Max-Planck-Institut für europäische Rechtsgeschichte in Frankfurt am Main published an obituary of Robert Feenstra. 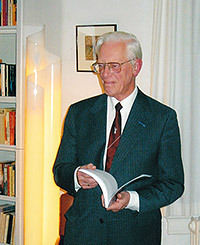 On March 28, 2013 the blog of the Peace Palace Library publshed an in memoriam on Robert Feenstra by Laurens Winkel. This entry was posted in Scholars and tagged Hugo Grotius, Legal history, Medieval law, Netherlands, Roman law on March 5, 2013 by rechtsgeschiedenis. Lately the Peace Palace Library, the library of the International Court of Justice and other institutions in the field of international law in The Hague – all present at The Hague Justice Portal – has restyled its website. The Peace Palace Library (PPL) had a separate blog which has now been integrated into the new website. One of the strengths of the PPL’s website were and are the research guides, a feature which now comes more to the front. The website offers more than fifty guides in ten sections. Among the new guides is a short guide to legal history, the subject of this post. Apart from the new website the PPL is also present online with numerous tweets (@peacepalace). Last year I presented here a comparison of several portals to legal history. The PPL’s legal history guide points to a portal that somehow was not included in this comparison, even though I had spotted it and noticed some of its qualities. In this post I want to make up for this omission. The history of international law is the main reason for the PPL to devote time, space and attention to this subject. Thus the field of international law is not entirely absent in the new short guide to legal history, but it does not figure too prominently in it. The presence of Hugo Grotius (1583-1645) in the guide is only natural for the PPL with its rich holdings in editions of Grotius’ works. The Grotius collection is now substantially better shown on the website, with an updated version of the guide on Grotius. The guide to legal history of the PPL is a guide in a nutshell. Before I will comment on this guide I want to express my admiration for the courage to create a short guide, because in a way it is easier to write a more ample guide. Its five sections present an introduction, a short bibliography, a presentation of a number of selected books as a librarian’s choice, a short links section with at present only six links, including the portal covered in the second part of this post, and a section with links to a number of related research guides, and a nifty link to all items in the category “Legal history” of the PPL’s catalogue. In this guide and in other guides as well the PPL has added consistently links to social media, a print button and a link to a PDF version of the guides. For the legal history guide the PDF function gives you only the librarian’s choice, certainly a bug but one without grave consequences. More awkward is the fact that the French version of this guide on this bilingual website is only partially in French. The librarian’s choice at the moment of writing this post shows three books, including their covers. The first book is the collection of essays edited by Tracy A. Thomas and Tracey Joan Boisseau, Feminist legal history: essays on women and law (New York 2011). The second item is the chapter by Randall Lesaffer on ‘The classic law of nations, 1500-1800’ in the Research handbook on the theory and history of international law (Cheltenham 2011) 408-440. The third book shown is Law codes in dynastic China : a synopsis of Chinese legal history in the thirty centuries from Zhou to Qing by John W. Head and Yanping Wang (Durham, N.C., 2005). The very brief introduction on legal history stresses the many sides of legal history. The two paragraphs can be summarized in two sentences. Laws, institutions, individuals and the relation of law to society are all aspects of legal history. Law both reacts to developments in society, but also actively shapes society. The French version tells you only that legal history is concerned with the development of law in history and the question why it changed. The French version continues with the explanation of the aim of the guide, to introduce people to the subject and to the holdings of the PPL in this field. The bibliography is substantial, but some elements do raise an eyebrow. In particular the choice in the section with reference works is just that, a choice. Thoughtfully all titles have been directly linked to the library catalogue. Three books – with as a nice feature again their covers – are mentioned. I have no problems with the Oxford international encyclopedia of legal history, Stanley N. Katz et alii (eds.) (Oxford 2009), but the two other books have been chosen more arbitrarily. John Hamilton Baker’s An introduction to English legal history (4th ed., London 2002) is certainly a classic, but it inevitably focuses on England. The third book is a collection of essays by William Morrison Gordon, Roman law, Scots law and legal history. Selected essays (Edinburgh 2007), and this choice alerts to the existence of mixed legal systems. However, these choices center around the United Kingdom. Adding a book on for example the European legal tradition or about legal history in one of the world’s major countries or continents would be most helpful. I cannot help pointing to some other defects in the selection of titles. Why just one issue of the ‘Bibliography of Irish and British legal history’ from the Cambrian Law Review? The link to the online version of the Tijdschrift voor Rechtsgeschiedenis brings you to the journal Legal History, the sequel to the Australian Journal of Legal History. The choice of books is more balanced, but it is odd to find here again Gordon’s volume of essays and the Oxford encyclopedia of legal history, both already present in the reference section. The other titles are concerned with the legal history of Europe, the United States, China and Rome, with sources for English legal history and with women’s legal history. Under “Documents” only one title is given. Far better is the choice of recent articles and papers about legal history, which range from a discussion of research methods, Islamic jurisprudence and thoughts about the legal history of the twentieth century to a comparison of legal history and comparative law, and the history of the law of nations. Of course it is difficult to create such lists as presented here, but with a relatively small number of corrections and additions it can become more useful. The list of journals on legal history is short and excludes e-journals. For any wishes and remarks on the quality of the bibliography the links section and the section with other guides go some way to fulfill them. The links show not only some portals – including the portal in the spotlight of this post – but also a blog, the website of a society for legal history, and the research guide for legal history of an American university. This guide at the University of Minnesota Law Library neatly shows the imbalances in the PPL’s guide. However, the PPL redeems the deficiencies of its legal history guide by its own guides in related fields. You will be pressed hard to find any website which features guides on all these subjects: diplomacy, Antarctica, comparative law, Islamic law, philosophy of law and the use of force, not to mention Hugo Grotius. A number of websites do offer links on these subjects, but not similar guides. More extensive guides certainly exist, and in fact you will find them often using these research guides at the PPL. It might seem that in view of the sheer number of research guides provided by the PPL only some tuning – and translating – of the website is needed. Part of the tuning will be adding the research guide for the League of Nations to the related fields section of the guides. A portal for legal history? The portal for legal history I want to discuss here briefly is History of Law. Looking at it again in 2012 some reasons why this website can only in a restricted sense be called a portal are immediately clear. The website lacks links sections, presents no sources or articles, nor is there an events calendar or an overview of research institutions. Yet the PPL alerts to this website in its short guide to legal history. The most obvious reason for the inclusion is the page at History of Law on Hugo Grotius. When I first read it I was charmed by the narrative of Grotius’ life, and only somewhat amazed by the retelling of his escape from the Loevenstein prison in 1621, a story belonging to the heart of the canon of Dutch history. No sources are indicated for this story. A quick search using for once the eponymous search tool which conjures its results by unfathomable stratagems and axioms leaves no doubt which source has been used, Charles Butler’s The Life of Hugo Grotius (…) (London 1826). You can check the book online at the Hathi Trust Digital Library, and even choose which digitized copy you are going to look at. Not only at the Grotius’ page of History of Law the original source is not acknowledged, the same is true for other pages. The text on the page on the history of Greek law comes from Martin Ferdinand Morris (1834-1909), An introduction to the history of the development of law (Washington, D.C., 1909). A reprint from 1911 of this work has been digitized for the Hathi Trust. The title “Roman canon law” for another webpage at History of Law should ring a bell with its anachronistic title, if not already the URL http://www.historyoflaw.info. I will not spoil the game of tracking the sources of the other pages of this website which is a nice exercise in source criticism for which you can use facilities available online. If you read the page on testamentary law it is worthwhile to establish who originally attacked the views of Blackstone on the introduction of testaments in England. For tracing the source of the page on Greek legal history I used deliberately the following phrase: “thousand other improvements and inventions of our wonderfully inventive age”! At History of Law no name can be detected, but in the banner of this website a young man gazes at you. I mailed to him asking for his name, but he has not yet identified himself. Anyway, be it a student hoax or just a fruit of plundering the Internet, it has little to do with modern research on legal history, apart from pointing to the laziness of those thinking you can rely on old works without any consideration, as if the facts of – and the views on – legal history are immutable. The History of Law website is a plain case of plagiarism. Its chief merit is alerting to the works of Butler and Morris. Instead of writing about the views on legal history of Morris, one of the founders of the Georgetown Law School and at the end of his career associate Justice of the Court of Appeals for the District of Columbia, our anonymous could only copy and paste from this book. Charles Butler (1750-1832) was an English conveyor and lawyer, the first Roman Catholic since 1688 to practise in England as a barrister. In fact he prepared the very legislation making this possible, the Roman Catholic Relief Act of 1791 (31 George III. c. 32). It is yet another subject worth real study instead of mock history. Instead of spending more time with this portal it is better to return to the research guides of the Peace Palace Library. Luckily the authors of the online guide on Grotius do not mention the History of Law website. The authors at the Peace Palace Library of the short guide to legal history should not hesitate to repair things as quickly as possible, and create a guide that is as trustworthy as the other guides of this important library. Was it the wish to include a website with the story of Grotius in English that misguided the creators of this guide when they added a link to History of Law? Whatever the answer is, it pinpoints the need to approach websites carefully. It is easy to find guides for evaluating web pages. I feel lucky I did not include the History of Law website in last year’s comparison of legal history portals. With pages on Phoenician law and the laws of Pythagoras a portal on legal history can certainly attract attention, but it should make you wonder when you find also the history of maritime law and Egyptian legal history, too much of a good thing! It is more rewarding to go to the sources, to use and indicate them carefully, to struggle with them honestly and to report your findings in your own words and to put your name at the end. You will not find any legal history portal with a full coverage of all main subjects, nor a website with full-length research guides about each separate subject in legal history. This entry was posted in General and tagged Hugo Grotius, International law, Legal history, Portals on March 7, 2012 by rechtsgeschiedenis. Let’s have a brief look at the historical subjects considered worthy of inclusion in this volume. In chronological order appear Justinian, Irnerius, Grotius, the Dutch East India Company, Beccaria, the French Revolution, the first national codifications of the nineteenth century, the constitutional monarchy and the Historical School. With the trias Diephuis, Opzoomer and Land, famous for their commentaries on the Dutch code of private law that came into function in 1839, the list of items seems to focus only on Dutch matters, starting with Johann Rudolph Thorbecke and the 1848 constitution. However, The Hague gets an article as a center for international law, and the essays about the European Convention on Human Rights, the decolonisation of Indonesia, the Maastricht Treaty, the start of European competition law and the role of legality in modern law prevent the volume from becoming an exclusively Dutch, and worse, an utterly provincial book. How should one criticize this selection of historical milestones? Instead of picking at the choice of subjects I would prefer looking at the title. Historically a canon is a guideline or rule. Canon law is a system of law which is constituted of such rules. This volume would be much more interesting with an introduction to the juridical concept of a canon, not to mention some decent treatment of the history and influence of canon law. Legal procedure, administrative law and matrimonial law are just a few fields to mention. I am perfectly aware that any selection of major subjects in legal history has severe limits, but in creating a canon of law one exposes these limits even more. The narrowing of subjects to one country and the stress on the last century are understandable, but this technique tends to create a tunnel view. To me these modern canons seem to foster a false sense of identity and certainty which sacrifices the continuities and discontinuities of history, of histories in plural really which interfere with each other. The Dutch vogue for historical canons started with the canon for Dutch history in 2003 constructed by a team of scholars. The main aim was to establish a series of key facts, subjects and events in Dutch history to be taught in schools at the primary and secondary level. The Dutch Republic of the seventeenth century, Grotius, The Dutch East India Company and the constitution of 1848 figure in this canon. It is interesting to compare it with the online timetable of Dutch history created by the Institute for Dutch History in The Hague. For whom does one publish a volume of essays on major legal developments through the centuries, either worldwide or centered around the history of one country? Is it only meant for law students who are happy to have survived obligatory courses in legal history, or for lawyers who want to dip a bit into legal history for their leisure? Perhaps such a volume can induce people to look further and better, and one cannot object against this. These essays were published originally in a monthly legal journal. Ars Aequi invites readers to comment on the essays. At least there is a second chance to read them and to be amused or annoyed by the vogue of historical canons. Asking to define the core of law is a perennial quest. It means posing a valid and necessary question never to be answered easily. This entry was posted in General and tagged Canon law, Hugo Grotius, Legal history, Netherlands, Roman law on November 30, 2010 by rechtsgeschiedenis. A fortnight ago I wrote about Ferdinand Grapperhaus, the deceased Leiden specialist of the history of taxation. At the very moment that I would like to write about Leiden as a center of legal history another scholar from its university has died, Pieter Willem Pestman. Today Gregg Schwendner, the creator of the blog What’s New in Papyrology, notes the obituary and bibliography on the website of the Leids Papyrologisch Instituut. No doubt this obituary will be translated into English. Teaching and research at the Leiden department for legal history has three general focuses, the history of Roman law, European private law and European public law. However, some more specific themes are forever associated with research by scholars from Leiden. Eduard Maurits Meijers (1880-1954) is famous as the scholar who almost single handed started modern research into the legal doctrines developed at the medieval university of Orleans. His personal library included many early printed books and manuscripts. For many years the department was housed at the Gravensteen, the former county and city prison. Meijers’ books were kept separately in a special room. Nowadays these books and his collection of manuscripts are kept at Leiden University Library. Mentioning medieval legal manuscripts and Leiden must include the yearly Friday privatissimum, the special seminar in which palaeographers and legal historians decipher and study together medieval manuscripts with juridical texts. Not just medieval law is studied at Leiden. Hugo Grotius gets deservedly attention as one of the most distinguished scholars of the Dutch Golden Age, and not just from the viewpoint of Dutch legal history. A juridical court, the Great Council of Malines, has been the focus of a project which touched both learned law and institutional history. 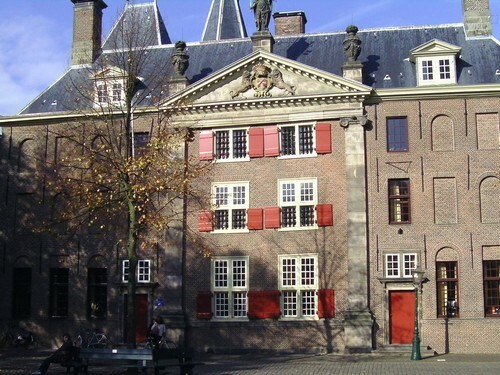 Many sources for Dutch legal history have been studied and edited by scholars from Leiden. And how can one write about legal history at Leiden without due reference to the ongoing research into the history and the influence of Roman law? You do not have to agree with the idea that Roman law can immediately contribute to the creation of modern European supranational law in a kind of renewal of the 19th century Pandektistik, but you cannot ignore Roman law if you study for instance the new Dutch Burgerlijk Wetboek which shows more influence from Roman law than Meijers, initially charged with the drawing of this new code of civil law, had in mind. It is difficult for me not to expand all this information or just to mention more legal historians, for example those who studied at Leiden and now work elsewhere. One should of course refer to the Tijdschrift voor Rechtsgeschiedenis. Today one has to remember those scholars no longer with us. However, let me at least thank legal historians working or trained at Leiden for all encouragements, constructive criticism and kind help given since many years to me and many others. See for an interview with Pieter Willem Pestman the article by Boudewijn Sirks and Bernard Stolte, ‘ Piet Pestman: interview met een papyroloog tussen mens en recht in het oude Egypte’, in: Prominenten kijken om. Achttien rechtsgeleerden uit de Lage Landen over leven, werk en recht, Theo Veen et alii (edd.) (Hilversum 2004 (= Pro Memorie 6 (2004)) 347-359. Leiden University has published a bibliography of Pestman’s publications (PDF). This entry was posted in Centers, Scholars and tagged Ancient law, Great Council of Malines, Hugo Grotius, Legal history, Netherlands on May 26, 2010 by rechtsgeschiedenis. Collecting, cataloguing and preserving important old books is one thing, presenting their contents online is another job. The Dutch Royal Library at The Hague, has created a digital version of the first edition of Grotius’ Mare liberum to celebrate the new translation into Dutch by Arthur Eyffinger. You can choose to view the Latin original or the new translation. On the special website Mare Liberum 1609-2009 (in either English or Dutch) you can find more information on the celebrations in the Netherlands around this epoch making work. The Peace Palace Library of The Hague, too, devoted a blog item to the festivities commemorating Grotius: Robert Feenstra and Jeroen Vervliet, the director of the Peace Place Library, have published a new translation in English (Hugo Grotius, Mare Liberum 1609-2009 (Leyden 2009)). This entry was posted in Digital editions, Exhibitions and tagged Hugo Grotius, Legal history, Library blogs on December 11, 2009 by rechtsgeschiedenis. Today I visited the Yale Law Library Rare Books Blog. Their online exhibition on the Dutch lawyer Hugo Grotius (1583-1645) and his famous book Mare Liberum triggered me to finally create this new blog. Four hundred years ago, in 1609, the first edition of this book on international law was published at Leyden. You can see the impressive selection of books that all show the huge influence of his book at the Yale Law Library Rare Books Blog. Well worth looking at, both at the blog and as a visitor to the Lilian Goldman Law Library in New Haven, Connecticut. This entry was posted in Exhibitions and tagged Hugo Grotius, Legal history, Library blogs on December 11, 2009 by rechtsgeschiedenis.